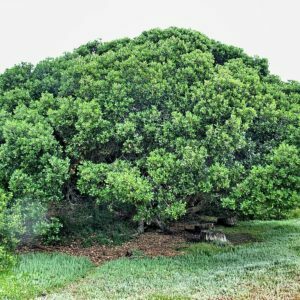 The white milkwood, a protected tree throughout South Africa, is medium-sized and wide-spreading. 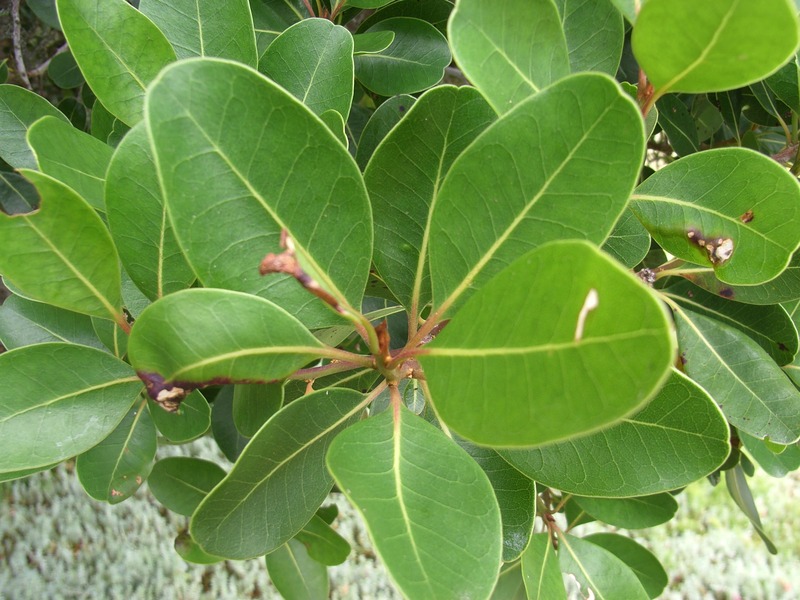 It branches low down into several thick, twisted stems. Often the dark green, dense, rounded canopy is so low that it touches the ground. All parts of the tree secrete small amounts of milky latex. The greenish-white star shaped flowers grow on stalks, singly or in clusters in the angles between the twigs and the lower leaves. They have a very strong and sweet, but unpleasant smell.